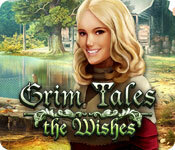 Grim Tales: The Wishes is rated 4.4 out of 5 by 144. Rated 5 out of 5 by ninja226 from Be careful what you wish for... This is an amazing game, elaborate storyline, many puzzles (many I have never seen before, some easy, some a pain), challenging HOPs, and a long game. You have a cat helper who is needed for multiple tasks throughout the game. It is a game that can be played again without being bored. If you play with help, the map function has highly detailed, specific tasks as bullet points that needs to be accomplished at each scene. Even so, I had to use Hint several times, because the map doesn't always list areas with HOP to progress. Other than that, no complaints. Two thumbs up. Rated 5 out of 5 by Streva from Very Good Game! Would rate it 4.5 This is the third game in the series and very similar to the first two. I enjoyed the game, although it is becoming a little annoying having to rescue 'my' sister's family all the time. I liked that it's a long game, the number of HO scenes seemed just right, scenes were identified when the mouse rolled over them and close when completed, and there were a lot of different types of puzzles. However, the instructions for the less intuitive puzzles were very unclear and I'm pretty sure one puzzle completed successfully even though I had not actually solved it...after so many tries it felt sorry for me? There was also a lot of collecting stuff before you know you need it and backtracking between the scenes, but the interactive map made it easy. I got a little bored toward the end, but overall this was a quality game with a decent story with an true ending #thank you!#, nice graphics, sound, and animation, plus some different types of puzzles. If you liked the first two games in this series, you'll probably like this one, although I thought The Legacy was much better. For people who have not played the first two games, you don't need the back story to play and enjoy this game. Rated 5 out of 5 by LaineyT63 from Best game I've played in a long time. The story is quite good, the scenes are beautifully laid out and colours vibrant. The best part is that just when you thought it was drawing to an end, another area with more rooms and puzzles would open up. A good long game. Value for money. The only thing I missed was incidental music in the backround throughout. The dramatic music was good though, and worked well in the scary bits. Well done everyone, I'm off to buy another Grim Tale. Rated 5 out of 5 by aabbccdd1 from Super games Very good game It's worth the price, it plays long. Good plot, good level of difficulty, good plot. I recommend it. Rated 5 out of 5 by gamergator from Not your typical HOG Loved this game! Storyline was great! Voice overs added to the gameplay and were not annoying. Background sounds also enhanced game. HOS were of moderate difficulty. I played in casual mode and when I did use the hint option, it regenerated quickly. The map was excellent as it allowed you to jump to locations that had tasks . Having a feline companion helping me was fun. The gameplay was very long, in a good way. I highly recommend this game. 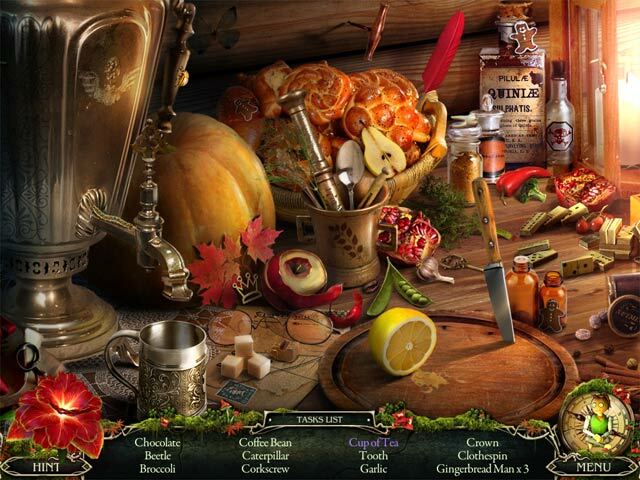 Rated 5 out of 5 by megwoman25 from Review of Completed Game... I rounded to 5 stars but I feel this is a solid 4.5 star game. It has amazing graphics and sound just like any elephant game. I feel sorry for this family! They have the weirdest stuff happen to them! If it wasn't for Luisa's sister, they'd be forever doomed! I loved the different places to go like the different worlds but also that when you came back to the start each time, you still had tasks to complete there. I could also stop this game once I went into another world and then come back and start at that world and not have to use the hint button a bunch of times to remember what it is I was doing. The map was jumpable and easy to follow. I felt like the puzzles were a little on the easy side for me AND there were a lot of the same kind like jumping over pieces or making more pieces of something. I would have liked a little more variety but I did have fun doing them. 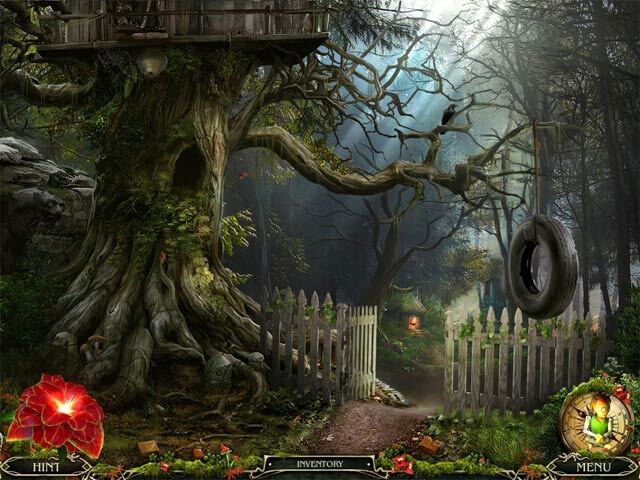 The hidden object scenes are very interactive and I liked that. It has a REAL ending in the Standard Edition unlike some developers who leave a cliffhanger if you don't buy the collector's edition. I felt satisfied with the conclusion of this game. My only criticisms are that the puzzles were repetitive BUT also a big pet peeve of mine is not being able to lock the inventory. It bugs me to see it bobbing up and down and I rather it stay put and have the option to lock it in place. This game did not have that function and every time I came back to this game, I wished it was there. For those 2 is why I took 1/2 star off. However, this game kept my interest and I loved playing it hence the 5 star rating. I definitely recommend this one! but play the whole series! because in order to love this series you have to understand how unlucky they are and how great the sister is! She always saves the day! Rated 5 out of 5 by Irishroan from Excellent Diversity! I have to admit I used to get annoyed at having to leave two or more unfinished puzzles behind in a room and moving through the game to find the right piece. It was a lot of backtracking but now I seem to like it and this game is a master of "it might be quite a while until you find that answer"! 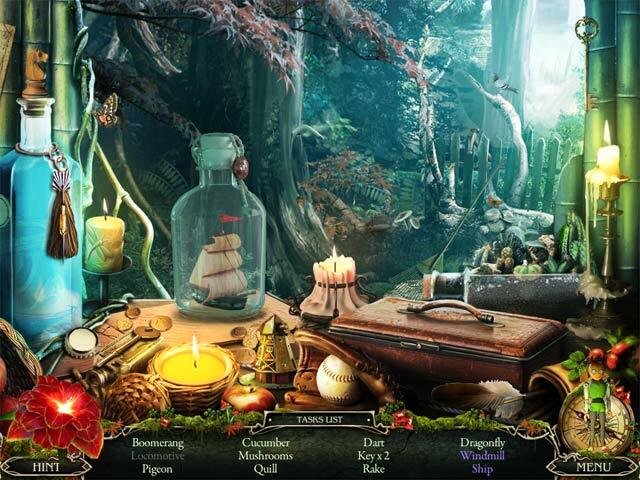 The game is long, which I love - the puzzles are good (nice mix of hard and not so hard) and the story is engaging. Probably my favorite game this year!